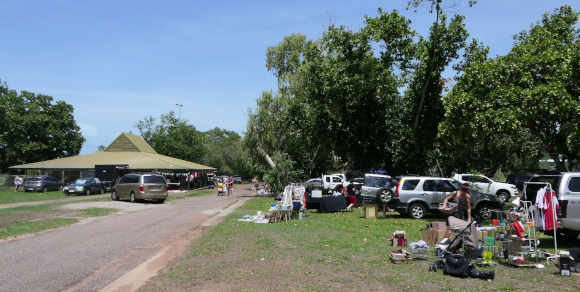 Flea markets are always a popular place to visit and great places to unload all that stuff you don't need anymore. Have you got STILL got Too Much Stuff? Christmas has come and gone, School holidays are done and dusted and you've probably got even more stuff. Buy, Sell, Swap, Donate, Giveaway, Pay It Forward and Share at Too Much Stuff for 2018. It’s FREE to have a stall. *Repair Cafe.. Something broken? Fix it. *Sewing Repairs & Alterations..Rethink - Repair, Restyle, Refresh, Renew. *Recycle and Upcycle Clothing and other stuff. *Reduce.. the use of plastic. Bring your own water bottle and/or coffee cup. - it’s okay if you forget, we also have a mug library. *Repurpose.. pots, jars and other household items. *Relearn.. forgotten skills. Crochet, Sewing, Do you know your knots? What would you like to learn? Come on down, hope to see you there. Return Home from Flea Markets.